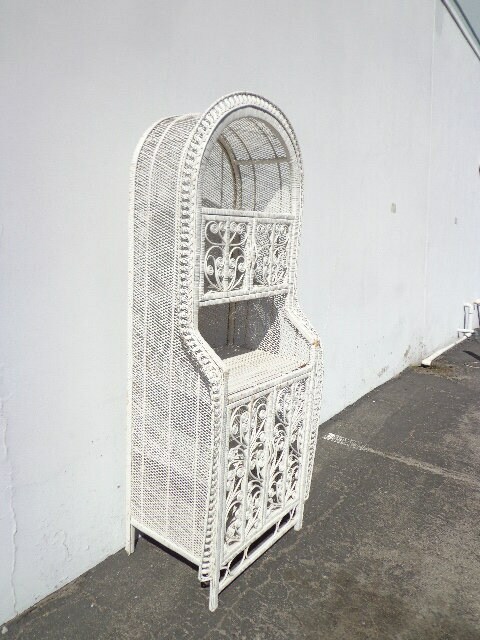 Fabulous bohemian boho chic book case / display case with great style. 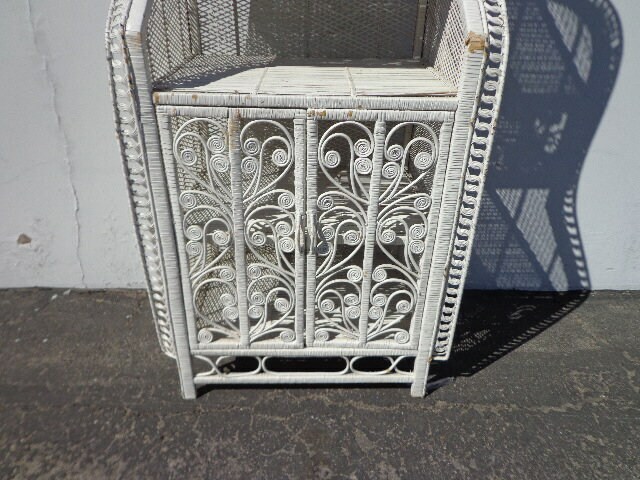 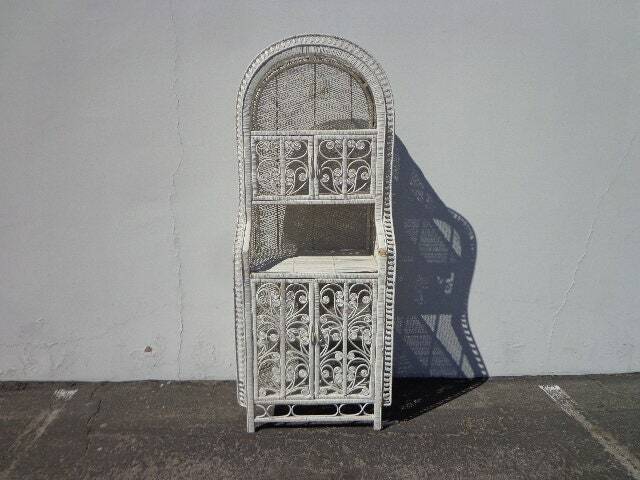 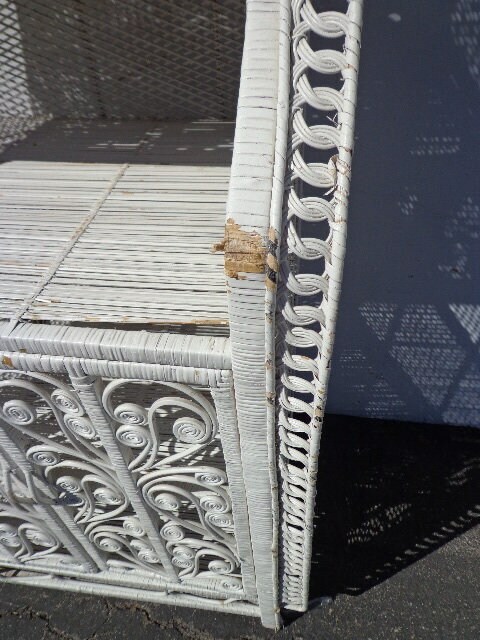 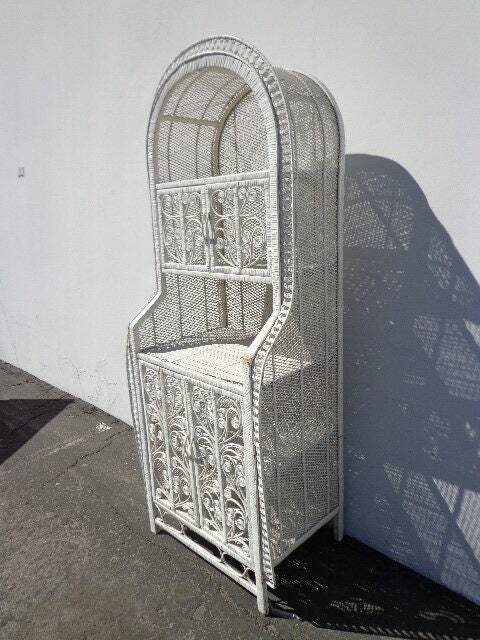 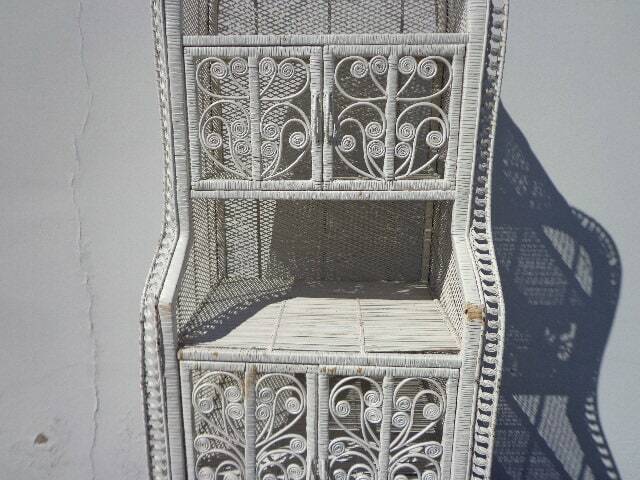 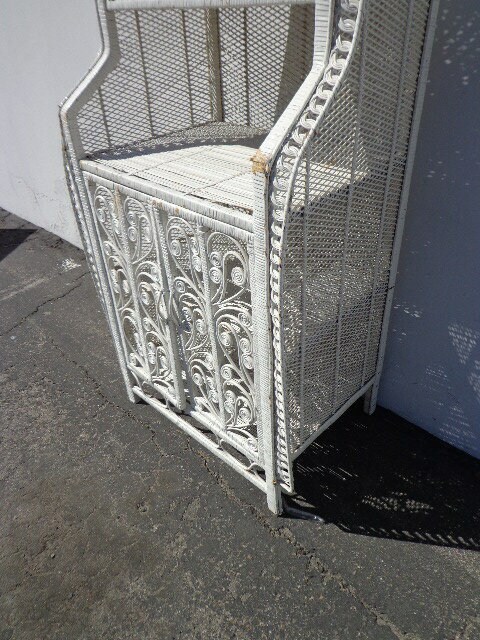 Constructed with a woven wicker frame with a pretty white finish. 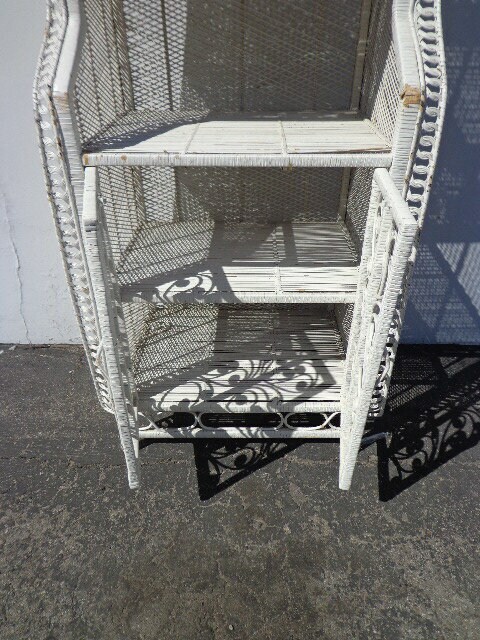 Features multiple shelves and is perfect storing and displaying various items. 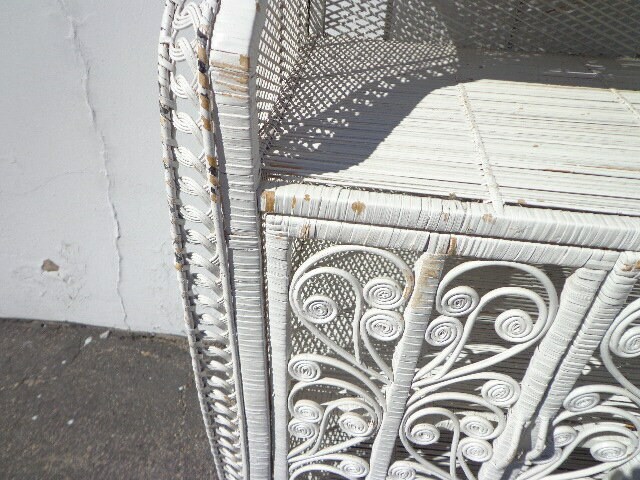 Shows surface wear and wear to the wicker in some spots. 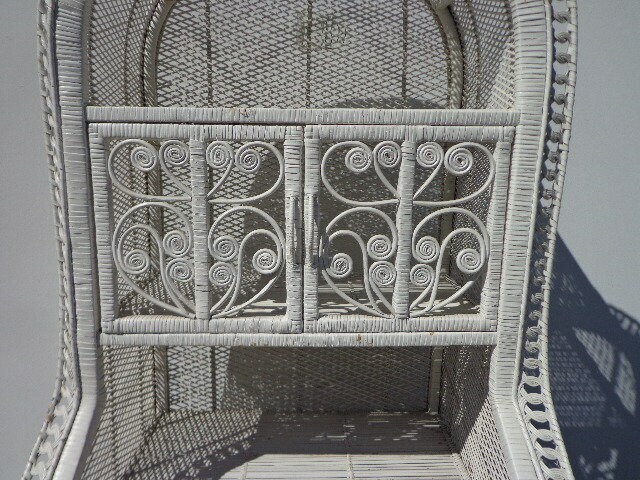 Dimensions: 30 1/4" x 21" x 77"